The current Seat Leon has been around for some time now, having made its debut in 2012. The facelift took its bow in late 2016, and now it appears that a successor is well and truly underway. Most of the new car is still camouflaged, though at the front the forthcoming Leon’s headlamps are visibly different, particularly with a different orientation for its inboard points. Detail changes remain concealed here, though we can see that the front bumper retains the two-tier grille and intake layout, with fog lamps at both corners. The rear half of the daylight opening somewhat appears to retain the current cars upswept lower edge as it meets the upper edge closer to the roof, while the tail light assembly also seems to be split between the body and the tailgate. It remains to be seen if all three body styles – three-door and five-door hatch, plus wagon – will carry over to the new model. The Leon is likely to ride on the updated MQB platform that is set to underpin the upcoming, eighth-generation Volkswagen Golf, which should bring benefits such as a 50 kg weight saving as well as support for 48-volt electrical architecture. Given that the Mk8 Golf was sighted almost production-ready in January for a Q3 2019 debut, the new Leon could see a launch closer to 2020. 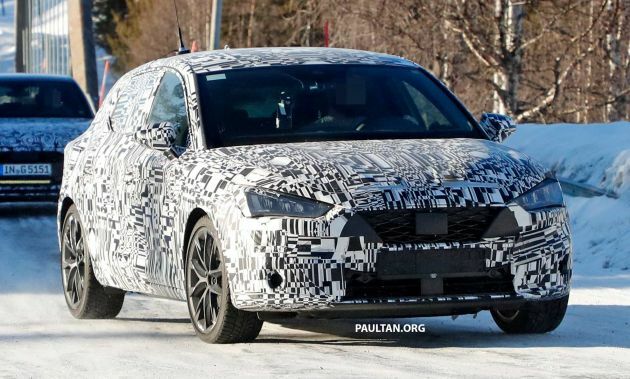 The post SPYSHOTS: Next-generation Seat Leon spotted testing appeared first on Paul Tan's Automotive News. 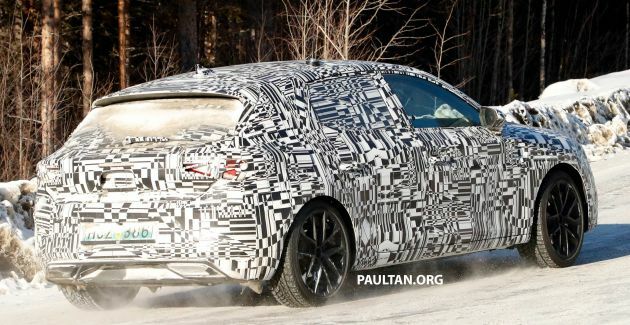 0 Response to "SPYSHOTS: Next-generation Seat Leon spotted testing"